Samsung’s Twin Cooling System® takes refrigeration out of the ice age with dual action cooling that keeps your food fresh. It does this by controlling and generating cooling air for the refrigerator and freezer separately with two evaporators, two fan systems and precise electronic control. The Twin Cooling System® maintains humidity and temperature levels that are just right so food stays super fresh. Mode, and Cool Mode options. Our EZ-Open Handle™ at a kid-friendly height makes it easy for children to find their favorite snacks. 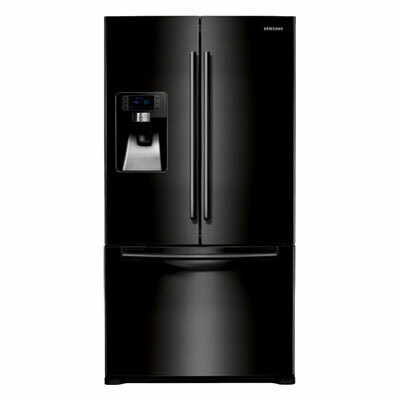 Samsung refrigerators bring innovation to both design and storage. Our beautiful and sleek design complements any kitchen décor. And, the enhanced storage capacity offers more space inside with the same outside dimensions as a traditional model. That’s more room to hold your favorite drinks, party platters and leftovers.